OXEYE DAISY seeds (leucanthemum vulgare) from Wildflowers UK. Oxeye Daisy- Leucanthemum vulgare is sometimes known as the Moon daisy and is a familiar wildflower of meadows and roadsides. It is an excellent general-purpose meadow plant, being well suited to all wide variety of soils and look best growing in full sun, but can also be grown in dappled shade. When sown as part of a meadow mixture, Ox-eye daisies are often one of the first flowers to appear, in the first or second year. 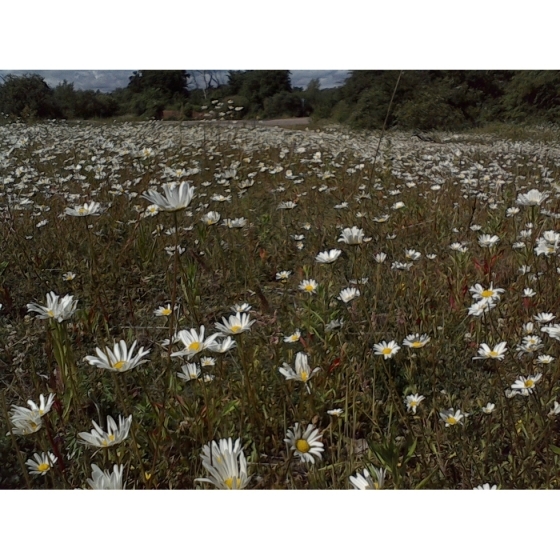 Initially it is not uncommon for them to dominate a meadow as other more slow growing plants begin to establish. Oxeye daisy plants have large showy white flowers with a central yellow disc. The blooms appear from May to September, and blend particularly well with other meadow plants. In the wildflower garden Ox-eye daisies can be planted in grass or flower borders and are particularly well suited to cottage gardens. 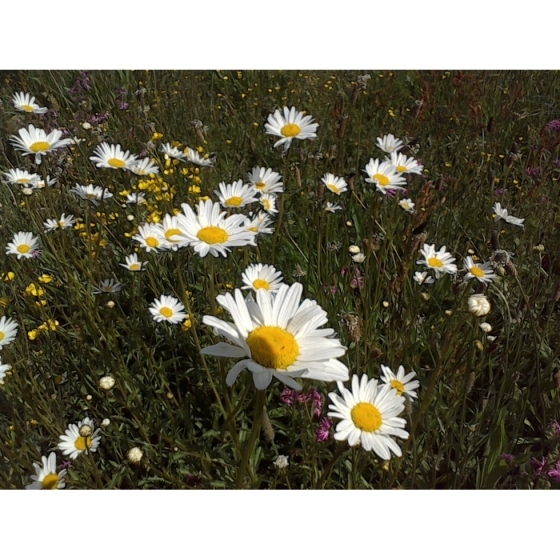 Oxeye Daisy plants look best grown alongside other summer flowering wildflowers such as Musk Mallow, Meadow cranesbill, Knapweed, Scabious, and Birdsfoot trefoil. Sow Oxeye Daisy seeds in spring or autumn either outside where it is to flower, or in seed trays and cover lightly with compost. It is usually easy to germinate and the seedlings, which are quick to develop, can be pricked out and grown on, for planting out later in the year. 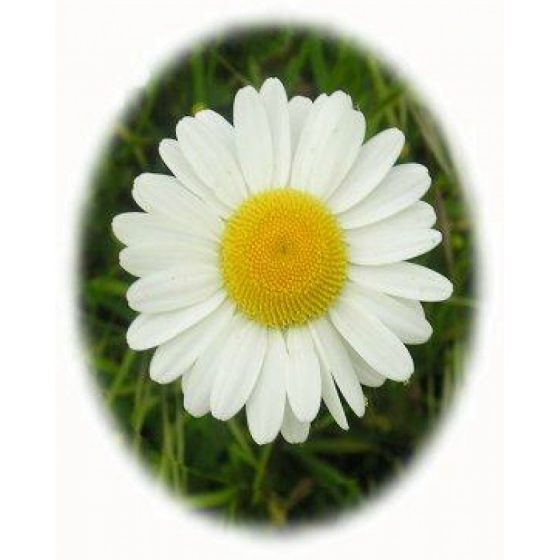 To purchase Oxeye Daisy seeds, please select a quantity above and click add to cart. To ensure the best chance of success, we sell all of our wildflower seeds by weight, which ensures each wildflower seed packet contains a good quantity of seeds. 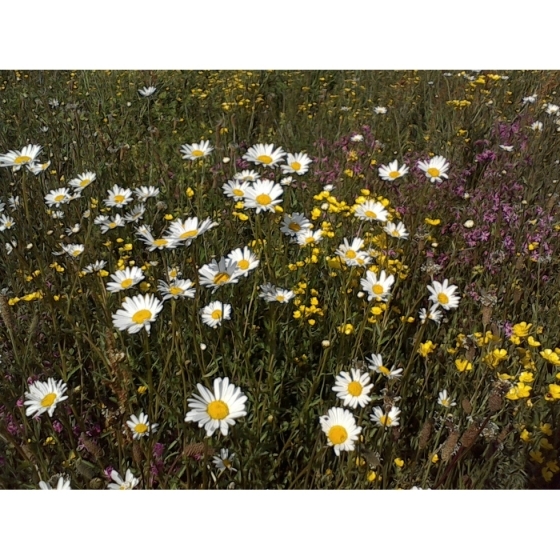 The recommended sowing rate is 1 gram per square metre, and the number of Oxeye Daisy seeds per gram is approx. 3000. All of our Wildflower seed packets contain seeds of Native British provenance.